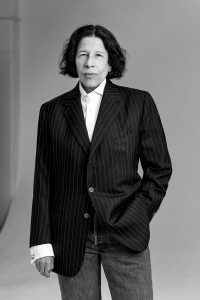 Fran Lebowitz wears blazer by Anderson & Sheppard and jeans by Levi's. Collier Schorr wears blazer by Brioni, sweater by Patrick Ervell, and jeans by A.P.C. 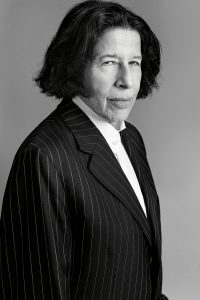 Fran Lebowitz and I were born three days and 13 years apart, which means we are both Scorpios. We are both from New Jersey, though I was born in Queens. 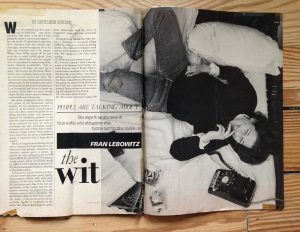 In 1983 I called Fran up and asked if I could interview her for my school newspaper. I got her phone number from an Annie Leibovitz picture in Vogue. 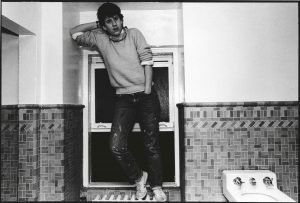 Fran on her bed, wearing 501s, telephone in hand, rotary dial visible to the world. I was not the only one that called after the magazine came out. But she said yes. Once—maybe a year before I interviewed her—I asked her for a ride back to my dorm after one of her readings. She said yes. I sat in the back. It was spotless. I’m sure it still is. We haven’t changed much. 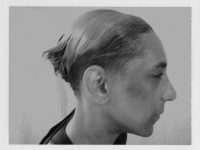 When I photographed her, I felt like a man among men. 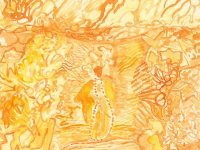 A host. I kept thinking about Gilbert & George. Maybe it was the suit jackets. I inscribed one of my books to her: “I guess it’s just the woman in you, that brings out the woman in me.” Foreigner. There is a thrill to inscribing a book to someone you probably admire more than you can say. A bon vivant boldness takes over. I paused on that ending. But truthfully, we are not men. We aren’t a band. 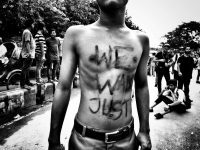 We are writers and women. The later being secondary to the former in terms of identification. We both wanted to write and probably thought it was the only thing we could do. Now, I’m a photographer. Fran says writers want to kill photographers, because what we do is so much easier. I understand this. It is easier, but it’s also harder. Because to do it, you have to be around other people. You have to be about other people. I have loved pictures of Fran since I was 18. I hung a couple of them on the walls of my dorm room, along with posters from W of Valentino and Calvin Klein ads. Her eyes are still blue. Her shirt is still starched. Her hands are quite small. I met her again after 30 years. She smoked a lot and I said, “It’s strange, but your smoke isn’t very smokey.” She replied it’s because she inhales it all. I said, “Really?” But she was kidding. This article originally appeared in Document’s Spring/Summer 2015 issue. Fran Lebowitz wears blazer by Anderson & Sheppard and jeans by Levi’s. 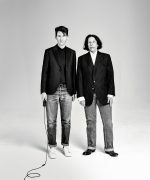 Collier Schorr wears blazer by Brioni, sweater by Patrick Ervell, and jeans by A.P.C.